You don’t have to search too hard to know why it’s important to eat healthy. And thankfully, you don’t need to search too hard to know HOW to eat healthy either. Today’s digital world makes healthy eating a snap, with dedicated websites, apps, blogs, online mags and endless collections of healthy recipes. The only problem is knowing where to start with this wealth of information at your fingertips. And with so many excellent sources of information, how do you know which ones are the very best resources? Let us do the hard work for you, that’s how. This of course should be complemented with plenty of water throughout the day. Why not print out the Australian Guide to Healthy Eating for your fridge? It will keep you on track of your diet by reminding you what’s important. Once in place on the fridge, you can then concentrate on these other resources. The Australian Healthy Food Guide is a fantastic resource for a whole range of information, from easy ways to get your family to eat well, to supplement advice, high fibre recipes, and meat-free eats. The website provides expert advice on a huge range of topics related to cooking, eating out, food safety, reading labels, alcohol, fast food and pregnancy-safe diets. Resources available include a BMI calculator, nutrition guidelines, an e-Newsletter, an exercise planner and a portion size guide. 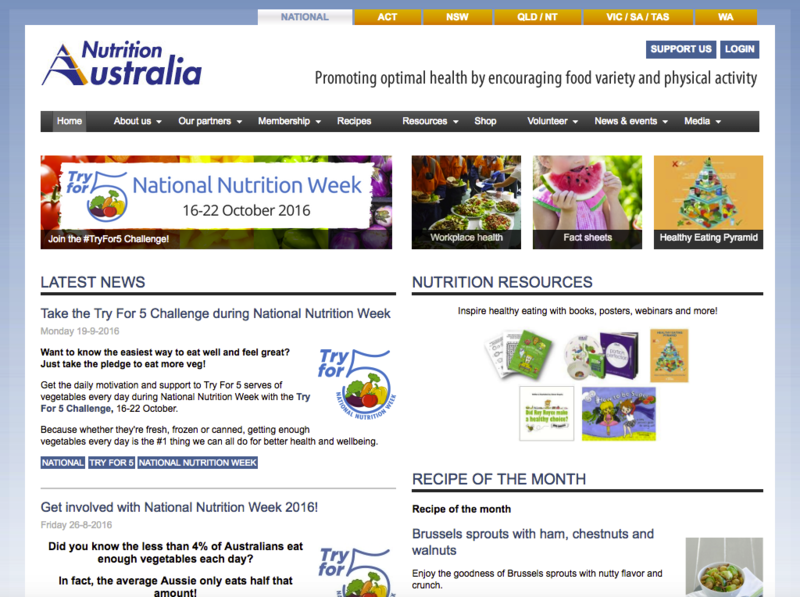 Nutrition Australia is a non-government, non-profit, community-based organisation with offices throughout Australia. Founded in 1979, its healthy eating pyramid has been a staple in many Australian households and today through the website consumers are encouraged to enjoy food variety together with physical activity. Sign up to their newsletter for regular support or browse the huge range of recipes that include breakfast, snacks, salads, lunches, dinner and sweets. LiveLighter is a program developed in Western Australia which aims to encourage Australian adults to lead healthier lifestyles, to make changes to what they eat and drink, and to be more active. Through the LiveLighter site you can learn all the facts surrounding your favourite foods and drinks, empowering you to make the smart diet choices. With top tips, recipes, and tools and resources such as a meal and activity planner, living lighter is easy with LiveLighter. 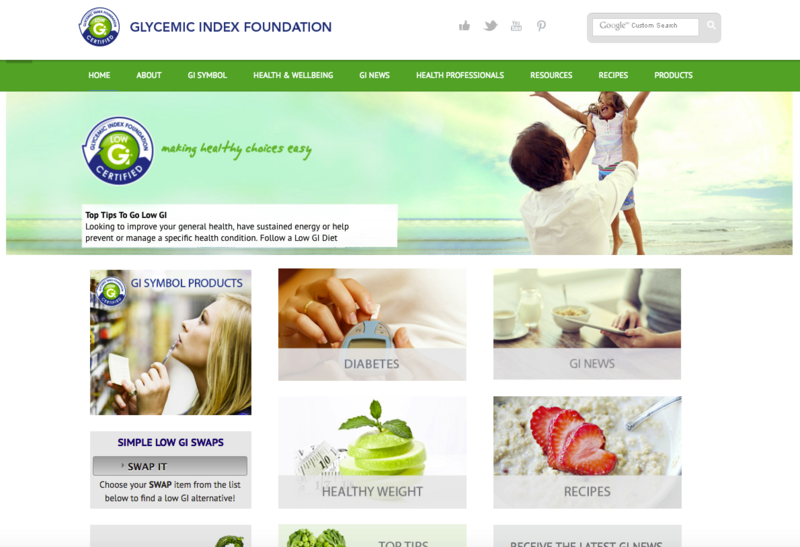 The Glycemic Index Foundation (GIF) is a not-for-profit health promotion charity supported by The University of Sydney and Diabetes NSW. The organisation provides consumers with information and tools to improve their health through scientifically-backed, low GI healthy eating principles. If you’re needing a little help to begin your low GI journey, their range of consumer resources include handy fact sheets, a low GI shopping list and a number of meal plans. Nearly everything we eat and drink provides our bodies with energy to fuel our basic body functions and physical activity. This energy is measured in kilojoules (kJ). The average Australian adult consumes 8700kJ a day. 8700 helps you to better understand kilojoules, and to understand kilojoules is to understand the importance of diet. If we consume more kilojoules than our bodies use, the spare energy is stored as fat and excess weight will follow. 8700 prevents this from happening, by giving you the knowledge to make smart choices. It also has a section designed especially at kids, so that you can help your kids learn from an early age the importance of measured energy. Using a standard A through F grading scale, the Fooducate app rates grocery items for their overall healthiness. Simply scan the barcode to get the information you need. It’s science-based, sensible, and holistic in its perspective. With a great food-logging component, a fantastic workout log, daily challenges, competitions, social engagement with others and awesome data, the Lose It app has got it all. Whether you want to lose two kilos or 20 kilos, members share one goal: lose the weight and keep it off. There’s no magic pills, no crazy diets; just an easy-to-use program designed to keep you within your calorie budget. FoodSwitch allows you to use your phone’s camera to scan a package’s barcode to see what’s hidden in the food you’re eating. 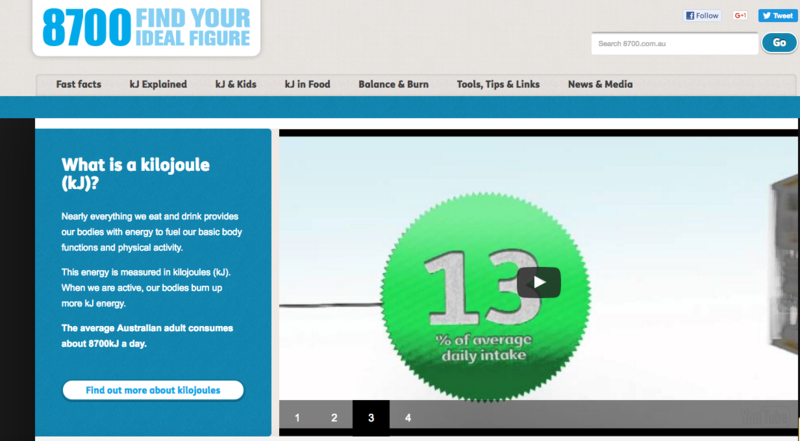 Using this information it will then suggest healthier alternatives. This app makes reading food labels easy and can be personalised for specific allergies and diets. 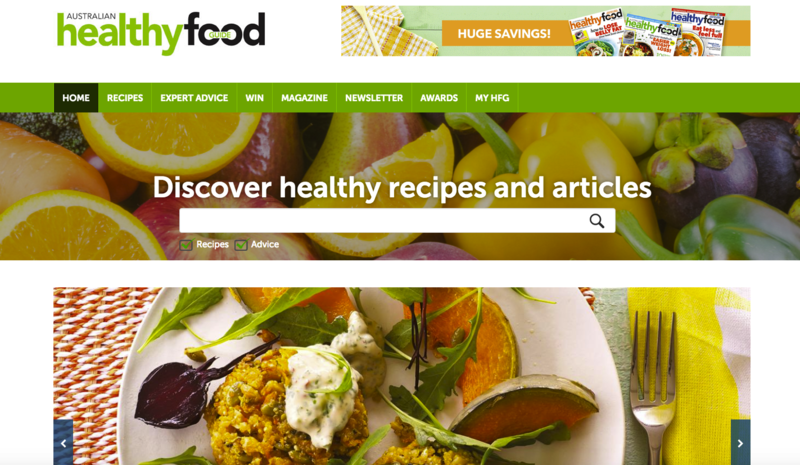 Scroll through one of the largest databases of good-for-you recipes, with more than 500,000 healthy and creative meals. Never run out of ideas again with Healthy Recipes! 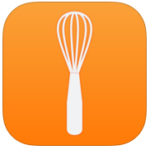 You can also store your favourite recipes and browse categories by meal, occasion, prep time and dietary needs. Eating well doesn’t have to be difficult if you keep yourself educated, and these resources will help get you on the right track so you can enjoy a healthy meal and a healthy lifestyle. All information presented on the Herron website is meant for general knowledge and never meant as a diagnosis of prescription. Please always contact your doctor for health related matters. Herron Gold and Herron Blue are the best choice for powerful, effective relief from pain and inflammation. Find out 10 great reasons why we’re better. Get the latest health news, insights, tips & hints sent straight to your inbox, free. All information presented on the Herron website is meant for general knowledge and never meant as a diagnosis of prescription. Incorrect use could be harmful. For the temporary relief of pain and fever. Use only as directed. Always read the label. If symptoms persist consult your health care professional. Opinions and statements within the blog do not mean that these organisations sponsor, endorse or recommend Herron products.